Did you know that there is actually a right and wrong way to use your hair dryer? If you’re a hair stylist or in hairdressing, you probably already know the right techniques and how to use dryers properly, but for those of us who don’t know, let’s take a moment to check-out the best tips for drying hair properly! 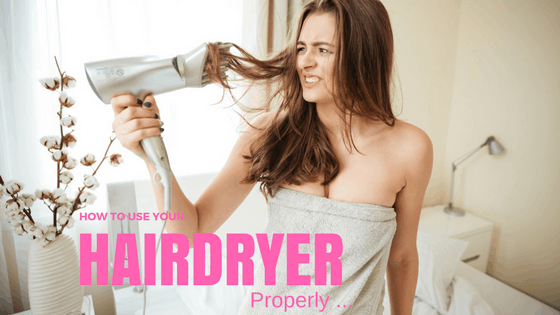 Because most of us don’t really know how to use a hair dryer the correct way, what often happens is that we get a much shorter life span out of hardworking hair dryer! It’s a sad fact of life that today, in an age of consumerism and in a time where we all want the latest iPhone, gadgets, laptops and hair tools; we’d rather replace a tired tool than really take care of it. But it need not be that way. If we simply master the art of tender loving care on all of our appliances, gizmos and gadgets, we can save money and reserve closet space for more important things (like clothes - hey, a girl has got to live) that stretch our dollars, pounds and euros further. But let’s get back to the core topic here. 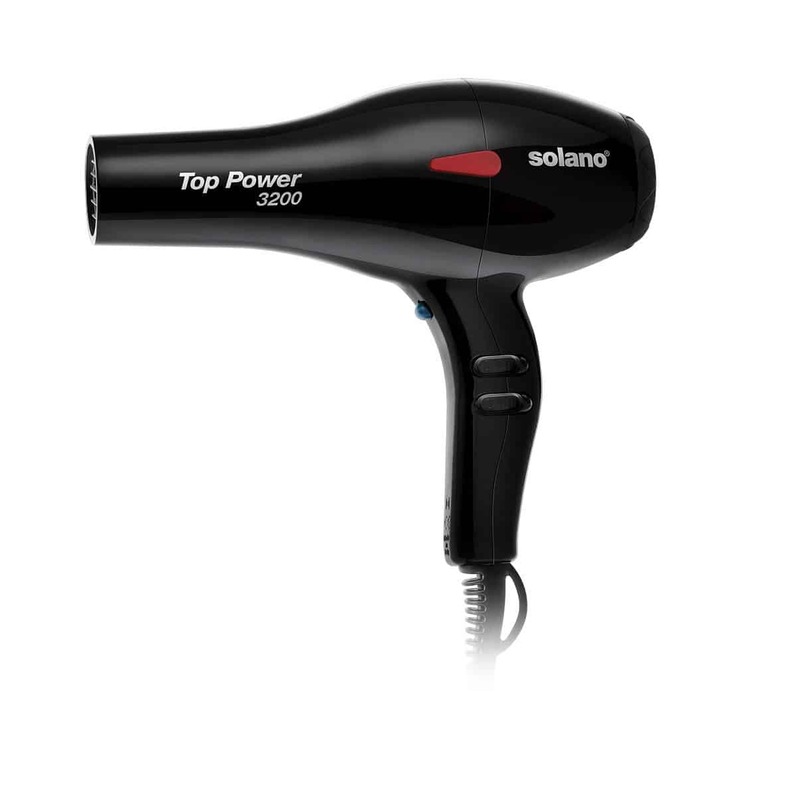 Hair dryers, they are everywhere, in every shape and size and of all types, builds and models. There are the convenient travel sized ones, Quiet models, industrial model and photography shoot kinds, commercial hair salon types and everything in between. And because most of us have the usual kind, you know the one you buy online or at your local shop, the rules of operation are generally pretty simple, but rarely followed to a t.
So, if you want to get the absolute maximum out of your hair dryer, you have got to take really good care of it and simultaneously, great care of your hair and heat exposure. Taking good care of your dyer means cleaning it regularly (read our article on how to clean your hair dryer for details), putting it in safe, dry, cool storage area, maintaining the extension cable by restricting exposure to moisture, excessive heat and sharp objects and ensuring that the dryer itself is never in the hands of children, or the paws of pets! That’s for their safety first, and the life and effectiveness of your dryer too. Second to keeping your dryer clean and stored safely is appropriate application and use methodology. While it appears simple, for example: lift hair, point dryer and let it create styles and textures on demand, there’s actually more to it. The best ways to use your dryer are to first ensure that your hair is not soaking or dripping wet after a bath, shower or sink rinse. Towel drying hair isn’t just to reduce the heat exposure on your precious hair strands; it’s also so that your hardworking hair dryer doesn’t have to produce heat on overtime to fully dry your tresses! By ensuring that you towel dried or air dried (for up to 10 minutes), you effectively reduce the heat damage to your hair while also reducing the overheating risks for your dryer. Limiting over heat and overwork tasks greatly increase the odds of a long life for your dryer! Thirdly, distance and duration are important – see? Math was useful at school (sort of?). When blow drying your hair, the best ways to do it are with awareness about how close (or far) you have the tool from your scalp, and following that, how long you’re isolating a section of hair with heat exposure. If you have fine hair and are searching for the best hair dryer for fine hair take a look at our ultimate guide. The reason this matter is two-fold because if you’re continuously using the dryer too close to your scalp and hair, especially while brushing and drawing out length, you run the risk of catching hair in the dryer and burning your scalp too. It’s recommended to keep the dryer at least eight inches away from the root of your hair, and not over-expose any sections of hair to direct heat for more than five to ten seconds. This ensures that there is no catching, over-drying or burning and singeing occurring. Most important of all, where are you drying your hair from? Root to end or end to root? Or are you just drying first, all over and in a rush hoping it dries faster? 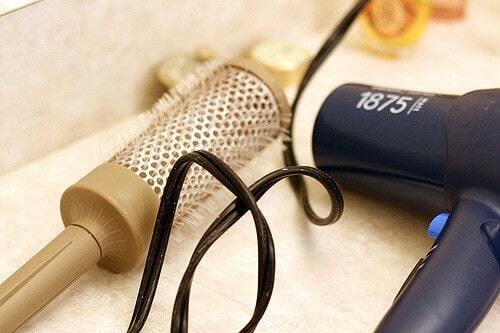 The golden rule in hair-care, heat management and hair drying is always dry root to ends. Never dry ‘up’, always dry ‘down’. Why? Because when drying from the ends to roots, you’re greatly increasing damage, not just heat but by blowing up the shaft you’re increasing the likelihood of split ends, broken lengths and over-exposure in the wrong direction. If you watch hairdressers in a salon, you’ll never see them dry up, well, unless it’s a fashion show requiring a particularly unique hair style and set! But of all the things you do with your dryer, make sure you do this. It will save your hair. · Make sure no cuties in the house (pets or toddlers) have access to your dryer. · Let it air dry for up to ten minutes or gently towel dry until damp. · Keep the dryer at least 8 inches away from your scalp at all times to prevent catching and burning. · Never isolate hair sections for over ten seconds. · Dry root down, never ends up. Preserve the health of your hair with the right drying direction. Our last hot tip for you is to consider using a heat protector spray, barrier or leave-in moisturiser when drying your hair. Consider a product that suits your hair, frequency of use and budget. There are lots to choose from so shop around!